The global power management IC (PMIC) Market was valued at USD 30.1 billion in 2017 and is anticipated to grow at a CAGR of 7.8% during the forecast period. Power Management Integrated Circuits are devices designed to enhance power management, system control, battery management, and interface & audio functions among others. They combine a number of voltage regulators into a single chip. The ICs act as the primary source of power delivery to all the sub-systems of a circuit. Power Management Integrated Circuits are widely used for applications such as HVAC, building security and management, consumer electronics, healthcare equipment and wearable devices, and electric vehicles among others. The growing need for energy efficiency, increasing energy costs, and rising adoption of green energy sources drive the growth of the market. The growing demand for battery operated devices, and rising sale of consumer electronics supports the growth of the power management integrated circuits market. The increasing applications in the automotive sector coupled with modernization of vehicles, and rising penetration of electric vehicles have increased the demand for power management IC market. The growing adoption of energy harvesting equipment further boosts the adoption of power management integrated circuits. Other factors driving the power management integrated circuits market include supportive government regulations, increasing awareness, and technological advancements. Growing demand from emerging economies, rising adoption of data centers, advancements in next generation mobile networks such as 3G, 4G, and 5G, and development of Big Data and IoT technologies are factors expected to provide numerous growth opportunities in the coming years. The global power management integrated circuits market is segmented on the basis of type, end-user, and region. Based on type, the market is segmented into Motor Control IC, Battery Management IC, Voltage Regulator, Integrated ASSP Power Management IC, and others. 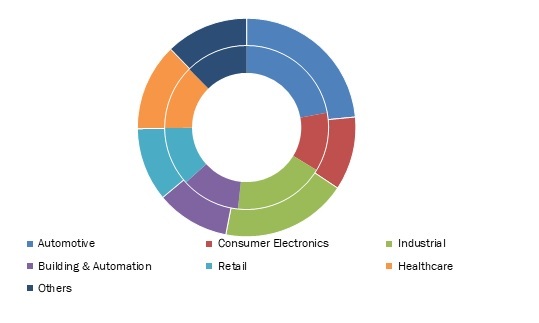 On the basis of end-user, the market is segmented into Automotive, Consumer Electronics, Industrial, Building and Automation, Retail, Healthcare, and others. The consumer electronics segment dominated the global market in 2017 owing to improving living standards, and declining prices of smart devices. 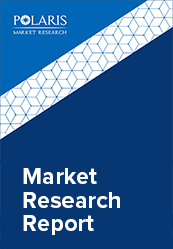 Geographically, the power management integrated circuits market is segmented across North America, Europe, APAC and Latin America, and MEA. North America is further segmented into U.S., Canada, and Mexico. Europe is divided into Germany, UK, Italy, France, and Rest of Europe. Asia-Pacific is bifurcated into China, India, Japan, and Rest of Asia-Pacific. Asia-Pacific generated the highest revenue in the market in 2017, and is expected to lead the global market throughout the forecast period. The increasing penetration of electric vehicles, and growing applications in buildings and home automation drive the market growth in the region. The leading players in the power management integrated circuits market include Infineon Technologies AG, Dialog Semiconductor PLC, Linear Technology Corporation, STMicroelectronics N.V., Texas Instruments Inc., Maxim Integrated Products, Inc., NXP Semiconductors, Renesas Electronics Corp., ON Semiconductor Corp., and Fairchild Semiconductor International, Inc. among others. These leading players in the power management integrated circuits market are introducing innovative products in the market to cater to the consumers. Global players are entering new markets in developing regions to expand their customer base and strengthen market presence.